I went to an urgent care, they took x-rays, told me it’s not broken and told me to wrap and ice it…done. Protocols for ankle sprains vary dependent on how badly the ankle was sprained, there is a grading system for this and you should know what grade sprain. X-rays and even an MRI should be considered for some sprains and sometimes surgery is required. We refer to the best orthopedists in town for these such cases. Other times different care should be done including managing the swelling with ultrasound, ice and tape. Stretching the restricted tissues and strengthening the area with non weight baring and then weight baring exercises. The correct protocols for each injury can vary but they in most cases certainly are not just wait and it will get better. The reason for this is you need to strengthen your tissues so it does not become a chronic injury area. Remember, sprains of all joints of the body are treatable through Chiropractic management. Ops Santa party a success! https://www.kevincresseydc.com/wp-content/uploads/Cressey-Website-Logo.jpg 0 0 Dr. Cressey https://www.kevincresseydc.com/wp-content/uploads/Cressey-Website-Logo.jpg Dr. Cressey2013-12-21 20:50:092015-03-31 20:51:34Ops Santa party a success! Office vacation 2013 – to San Francisco! https://www.kevincresseydc.com/wp-content/uploads/Cressey-Website-Logo.jpg 0 0 Dr. Cressey https://www.kevincresseydc.com/wp-content/uploads/Cressey-Website-Logo.jpg Dr. Cressey2013-12-07 20:52:152015-03-31 20:52:51Office vacation 2013 - to San Francisco! This year we had over 300 papers to review over 2 days, at the 18th Annual Scientific Conference for the Spine Research Institute in San Diego. It’s such a difficult question to answer and the reason being just like most professions, yoga instructors each are different and their qualifications can be different. 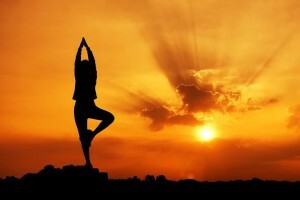 Not only are their qualifications and experience different but the types of yoga are different as well. Finally it should be considered also what is the patients particular injury, mechanism of injury involved in their back or neck pain, and would it benefit from yoga? I professionally recommend yoga and massage as great adjunctive therapies to helping patients achieve optimal health status. With that said it’s important that they do it the right time during treatment programs and starting too soon while their injury is too acute can often exacerbate and set them back in their recover. When they ARE ready for it there is much importance that they work very closely with their instructor letting them know specifically what is wrong and what movements they must avoid. And finally it’s very important that the instructor has a working knowledge in the area of different types of injuries that can happen and what might make these injuries worse. Perfect example of a problem that seen in my office daily is a lumbar facet syndrome, doing Cobra pose with lumbar facet syndrome would make it exponentially worse. I would love to create a working relationship with some of the best instructors in the area to keep patients moving and pain free. Any instructors interested in increasing your knowledge of common injuries please feel free to reach out as well, I love to teach and create relationships with other professionals. Along with teaching I am a willing student since adding a little more yoga terminology to my lexicon would also be helpful so that when patients ask if they could do particular moves I understand what is involved. This is the mechanism of injury often reported to me. In fact, yesterday I think I heard this one about 8 times during the day. People don’t actually “sleep wrong”, it’s almost always something they did before they went to sleep that they forgot about, or did not realize was a stressor on their body. Sometimes it’s actually a car accident from 10 years ago and their neck has now developed arthritis. One common symptom of degenerative changes in the neck or spine is unexplained muscle stiffness. If you think you slept wrong, make sure to get it checked before it becomes something harder to fix. https://www.kevincresseydc.com/wp-content/uploads/Cressey-Website-Logo.jpg 0 0 Dr. Cressey https://www.kevincresseydc.com/wp-content/uploads/Cressey-Website-Logo.jpg Dr. Cressey2013-08-10 21:04:492015-03-31 21:06:05FYI: On "sleeping wrong"
Getting checked after an auto accident is really important! Too often, patients tell me about a “minor accident” they were involved in about 5-10 years ago and they think it is not related to their achy shoulders that started from “out of nowhere” or they “slept on wrong”. Most of the time, the cause is a “minor accident” where they thought a 5-10 mph rear end collision was no big deal and they were not hurt. Turns out the cars now are being produced with a more ridged stance, so you do not die in high speed crashes. But in low speed, the crumple zones are less impacted and the human inside moves, more causing more injuries in low speed impacts. Make sure to get checked for injuries, even minor ones before they become major and a major investment in your health when your joints are degenerated. For my fellow practitioners, this article is a great definition of the current terminology used to standardize how we communicate about muscle injuries. I recommend this as a read to any of you who treat muscle injury!